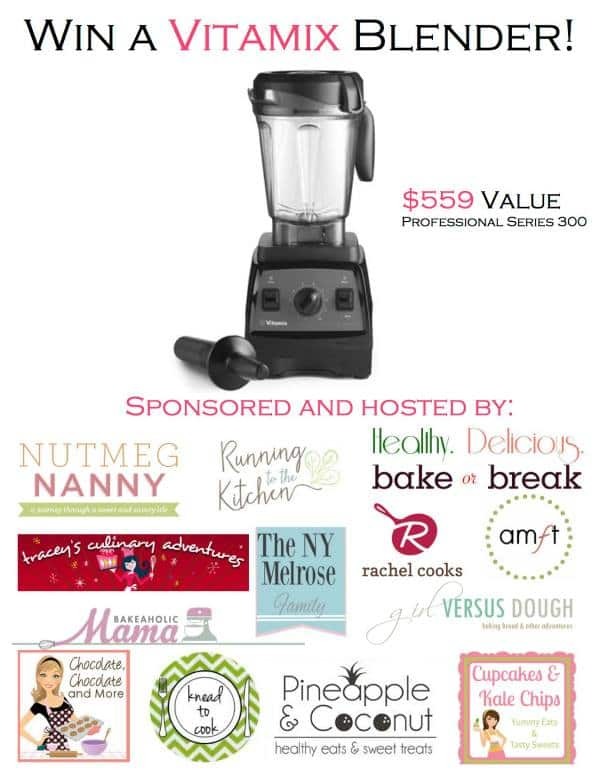 Vitamix Blender #Giveaway - Chocolate Chocolate and More! I know, 2 giveaways in less than 24 hours? It’s because I love my readers, and because a really cool group of bloggers got together and decided that one of our readers should be the owner of this awesome blender. And it is awesome. The Vitamix Professional Series 300. Smoothies, soups, frozen treats. This baby can do it all. Entering is easy, just follow the widget. Good luck! I have so many of your posts pinned! Now, it’s time to start baking!